Best Buy Canada has launched its latest new concept store in Montreal as part of a nation-wide strategy to revitalize the way Canadians purchase electronics and appliances. 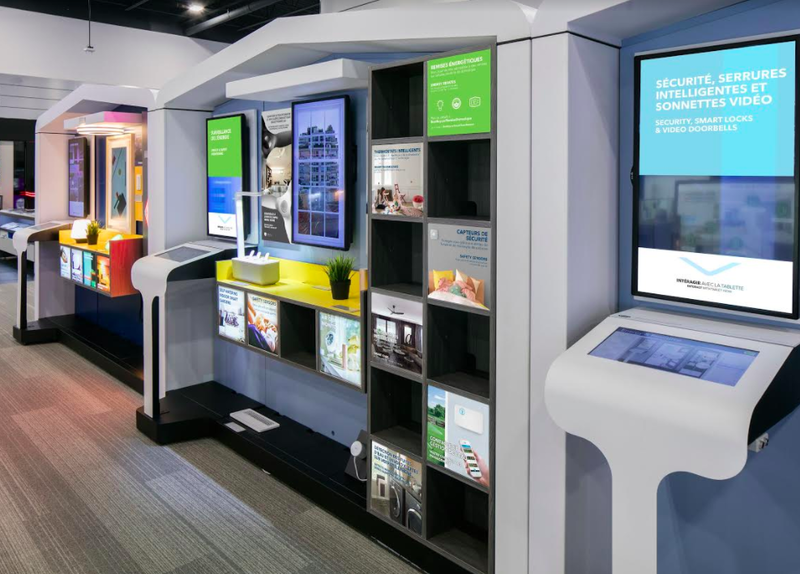 The two-floor Best Buy 'Experience Store,' located at 470 Sainte-Catherine Street West, has been completely renovated to provide consumers with a more immersive and interactive experience, says the company. It is one of 30 stores that have been renovated recently over the past two years or so. The store is hosting a grand opening weekend for the public on Dec. 8-10. “Our unique new store concept is based on feedback from our customers, employees and vendors,” says Ron Wilson, the company’s president and chief operating officer. Tony Sandhu, senior vice-president of merchandising and in-store design for Best Buy, says there are three generations of stores that have already been renovated. The first involved seven stores which underwent renovations almost two-and-a-half years ago. The company rolled out another eight stores about a year ago. This year it will complete 15 more stores. “The way consumers shop for product has changed significantly versus when these stores were first put together,” says Sandhu. “We needed to give customers a reason to get out from behind their keyboard and come to the store. We needed to make it interactive and immersive. And quite frankly some of the legacy stores weren’t creating that experience or that motivation for customers to come down to the stores. At the new stores, Best Buy says, customers can expect an inspiring, immersive and interactive shopping experience. Cutting-edge tech from leading brands is displayed using live demos and high-impact vendor displays. The energetic modern design is complemented by flexibility-focused features such as raised access flooring. Interested in smart home technology? Customers will now be able to interact with products via the fully functioning smart home wall. Need new appliances? A visit to the new major appliances showroom allows consumers to get inspiration for their dream kitchens while choosing the functionality that's best for them. Sandhu says there are 134 big box Best Buy stores in the country and 51 Best Buy Mobile stores. He says Best Buy does have plans to do more store renovations in the future. It’s in the process right now of identifying what stores will next face some renovations. *All photos, except for the top photo, were supplied by Best Buy.